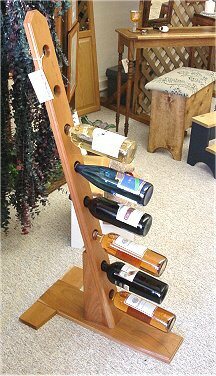 This was my idea of a space saving Wine Rack. It is very stable and unique. We can make them out of Oak or Cherry and to hold between 4 and 8 bottles. Hang your wine bottles by the neck.